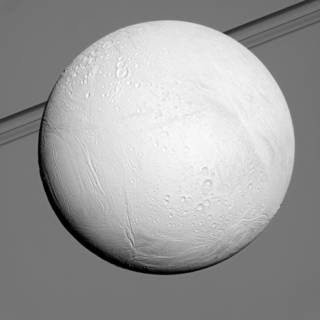 October 13, 2015 – NASA’s Cassini spacecraft will wrap up its time in the region of Saturn’s large, icy moons with a series of three close encounters with Enceladus starting Wednesday, October 14. Images are expected to begin arriving one to two days after the flyby, which will provide the first opportunity for a close-up look at the north polar region of Enceladus. Wednesday’s flyby is considered a moderately close approach for Cassini, which will pass at an altitude of 1,142 miles (1,839 kilometers) above the moon’s surface. Closest approach to Enceladus will occur at 4:41 a.m. MDT (6:41 a.m. EDT). The spacecraft’s final two approaches will take place in late October and mid-December. The Cassini-Huygens mission is a cooperative project of NASA, ESA (European Space Agency) and the Italian Space Agency. JPL manages the mission for NASA’s Science Mission Directorate in Washington. The Cassini imaging operations center is based at the Space Science Institute in Boulder, Colorado.